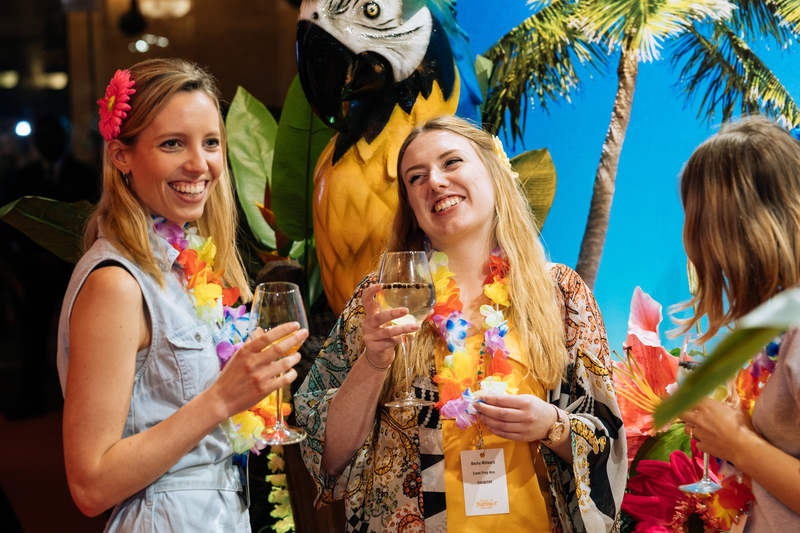 London agency, Story Events have just delivered over 1,000 agencies and visitors to their London Summer Event Show at Banking Hall a record for the show and up 8% on the previous year. “In addition to over 150 venues and suppliers, this year’s show had more content than ever with a core focus on sustainability in events”, commented Show Director, Clare McAndrew. “To support this core theme and our overall drive to lower the impact of our events, the show team reduced the amount of waste in all areas including top up water dispensers, using recycled cardboard for the food service and printing our show guide on recycled paper”. This theme was given greater focus by Giles Gibbons, CEO of Good Business, who presented the results of their audit on the sustainability credentials of the Shows exhibiting venues. The ‘Most Sustainable Venue’ was awarded to the Barbican as the exhibitor demonstrating the best policies and practices in this increasingly important area of corporate events buyers’ purchasing decisions. He concluded with a strong message to the industry, “In an increasingly virtual world, live events have become the tip of the iceberg, the front door, in expressing what a business stands for (and critically what it does not). If companies are not living these values through their events, the credibility of their commitment to sustainability will be rightly questioned by customers and staff alike”. Other seminars included a presentation of Venue Search London’s first summer events survey results, reporting on the key buying trends of over 250 London corporate buyers, and ‘The importance of visual content’ in events, led by the Show’s media sponsors, Event Industry News. New exhibitors to the Show included the online musician booking platform, Encore. CEO James McAulay was delighted with their involvement. “We received an overwhelming amount of interest in Encore from both corporate and agency buyers looking to access our large roster of musicians, and the singing guitarist we booked to perform throughout the day, whom, went down a storm. We also forged a lot of new relationships with our fellow exhibitors, suppliers and venues”. Pre-registration is now open for Story’s next event, The London Christmas Party Show at Plaisterers’ Hall on May 14th and 15th.